The concept developed recently by sensei of a photon colliding a speck of stardust to illustrate that we should render the invisible visaible made me think of galaxies and budô. In space stars are often seen as regrouped by men as a given shape (big dipper, cassiopea, betelgeuse etc). But this apparent “regrouping” is only visible from our point of view in the universe; the location of Earth in space. If we were able to go a few thousands parsecs away from our actual location, these groups would not exist at all! It is only our vision of things that make us see them as a given recognizable pattern in the natural chaos of space. Our perception is wrong, it is omote not ura. If we consider the galaxies which are real natural entities and not a human mental construction, we can make a parallel together with the encounter between the attacker(s) and the defender. In Budô our techniques can be seen as equivalent as these artificial regrouping of stars made by humans. They are not connected naturally. Back to space this fake connection is real when it comes to galaxies. And even more when they are colliding. On the mats uke and tori are like two different galaxies. 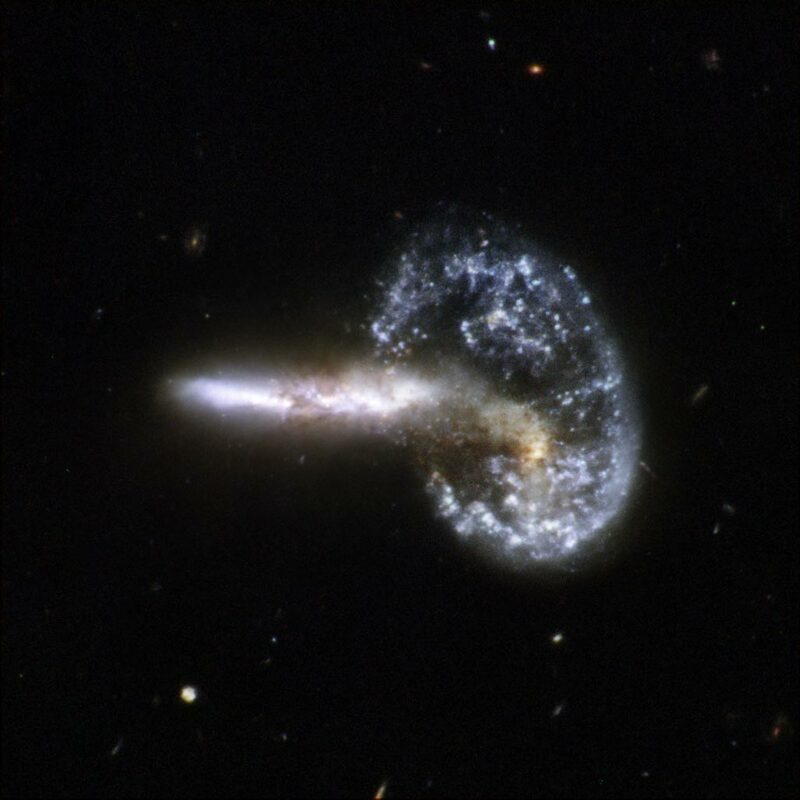 In both cases (galaxies, opponents), the connection/collision is not wanted and the outside observer cannot fathom what particular consequences will stem from the encounter. By keeping the connection with the environment, by applying En no kirinai (do not sever the connection) everything move in the best possible way. Galaxies cross the universe without intention (as far as I know) and our taijutsu must follow (flow?) the same path. Having no preconceived ideas, you move naturally and bring the techniques to life to the better outcome. Don’t think, react in adapting your flow to the moment.